While Coronation Street's Fiz Stape has her sights set on riches, her friend Julie Carp looks set to ruin her plans. 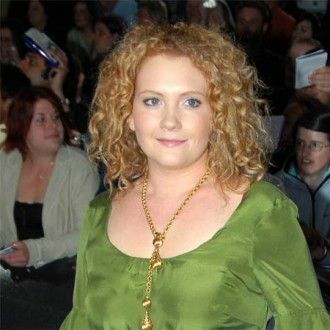 Cash-strapped new mum Fiz - played by Jennie McAlpine - is desperate to get her hands on some funds with killer husband John (Graeme Hawley) in a psychiatric hospital and baby daughter hope fighting for her life. After John stole the identity of his former pal Colin Fishwick (David Crellin), a solicitor wrongly believes he and Fiz are entitled to the inheritance left behind by Colin's late mother Joy (Doreen Mantle). However, unsuspecting factory girl Julie (Katy Cavanagh) is totally unaware of Fiz's secret plot and tells the solicitor there's nobody by the name of Colin Fishwick living on the Street, ruining her plans to get her hands on the money. With Fiz growing increasingly desperate for the cash as the bills continue to mount, she may well be pushed to actions she never thought were possible. A 'Corrie' insider recently revealed: "Fiz can't work at the moment because she's spending her time coping with her husband and baby and doesn't have two pennies to rub together as a result.